I’m a firm believer in metrics. I love tools that help you measure and track things as easily and accurately as possible. This is probably one reason why I’m so interested in inexpensive diagnostics – to enable regular measurement of physiological changes. But today I want to talk about measuring money. Too much effort | You really just don’t have the time to manually enter all of your purchases, and to update budgets and goals in a manual fashion over time. At best you start off sticking to it but gradually slack off and give up. Not enough metrics | These methods generally aren’t very good for organizing purchases and making sure you’re sticking with goals for specific spending categories. This is critical for sifting through the junk to get relevant information. Too isolated | These tools tend to sit in a box somewhere. Most likely on your hard drive, though maybe in the cloud if you’re using Google Docs. You would really want something that you could access anywhere, and that could send you relevant notifications related to your spending and upcoming bills. It puts everything in one place | No more searching for specific purchases on a clunky bank website only to find you can’t actually see more than the past 6 months. 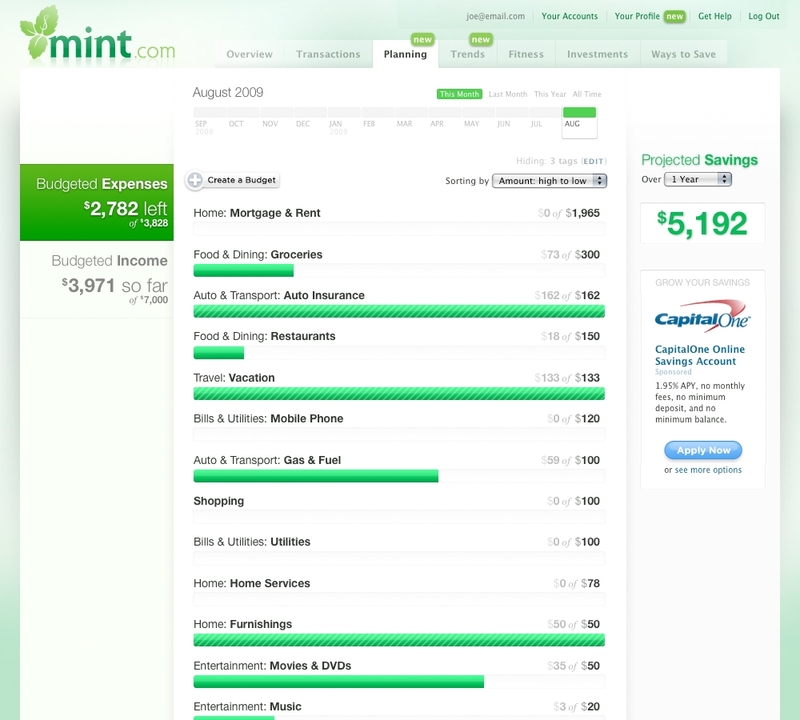 Mint keeps all of your transaction histories in one place, with simple search and auto-tagging. It’s really amazing how comprehensive it is. I’ve got bank accounts, credit cards, student loans, and an auto loan all in there. If you happen to have a positive net worth, you can even track all those investments you have. It’s automatic | Mint is generally about 90% accurate in categorizing my transactions, making it really simple for me to get a quick look at exactly how much I spend on any particular category in a given time period (for example, how much was spent on fast food over the past year). It keeps you in the know | The primary concern I hear is mistrust in a startup to hold their financial information. However, I think Mint increases your security by notifying you of anything fishy going on in your finances. You can set all kinds of alerts based on spending and account balance thresholds, and Mint will let you know by SMS or email if anything unusual happens (still waiting for an Android app, though). It helps you budget | The budgeting tools help you keep track of your spending during the month, notifying you if money is disappearing faster than it should. This has helped me scale back spending when necessary. 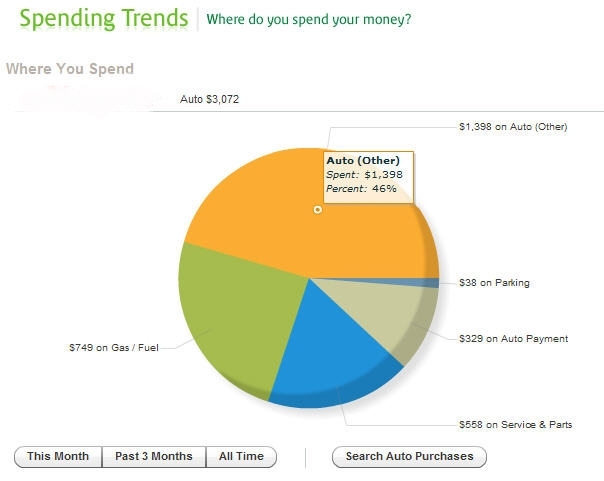 It identifies trends | Mint offers some very appealing charts to help visualize your spending by category. This way you can tighten your spending a little in areas that are hurting you most. It also helped me identify a relatively small, but regularly recurring, withdrawal from my account that should have been canceled. I was able to immediately contact the offending company and straighten things out. For those of you who are concerned about leaving all your financial information in the hands of a startup, it should comfort you a little to know that they’ve been secure for the past 3 years of operation, and were even recently acquired by Intuit, a well-established financial software company. There are tons of reasons to love Mint, and it still surprises me how many of my friends haven’t even heard of it yet. Now you don’t have ignorance as an excuse. Go sign up!